HomeJust the facts? Or might honesty matter as well? Just the facts? Or might honesty matter as well? We might differ in our views about the sources of our callings, and about the exact nature of a call. But can anyone deny that honesty ought to be an important part of living out one’s vocation? It seems obvious enough, but someone apparently needs to tell that to the engineers at Volkswagen—especially given the recent “diesel dupe” scandal. I’m convinced that this controversy has serious implications for vocation. Educators are uniquely poised to either support or subvert honest dealings between the environment, our social systems, and the economy. The recent scandal suggests that we can’t settle for a “just the facts” approach to education. We need to think more about professional formation with respect to the obligations that we have to one another — not to mention our obligations to the Earth that sustains us. My interests in this story are both personal and professional. As the proud owner of a 2003 Jetta TDI (built years before the models in question), I have endured great suffering to keep this vehicle on the road. I had been looking forward to upgrading to a newer, shinier, cleaner-burning diesel Jetta, preferably one with working A/C (did I mention I live in Florida? ), and one that doesn’t “roll coal” every time that I try to get up to speed on the interstate. And as an engineering professor who team-teaches a course entitled “The Ethics of Sustainability,” I also have a professional interest in what happened at Volkswagen headquarters. What attracted me to the Jetta TDI back in 2003 was one simple number: 50. That was the highway MPG printed in at least 60 point font on the window sticker that all new cars are required to display. Even more enticing was the fact that the price of diesel fuel in 2003 was less than regular unleaded. What better way to save the planet and save money at the same time? So there would be trade-offs. I ultimately decided to forgo the ‘zippy’ in exchange for reduced greenhouse gas emissions and long-term savings in fuel costs. There was a reason to drive a diesel car, and I found myself somehow proud to have made the ‘responsible’ decision as a consumer. That little black VW Jetta, affectionately named “Olive” by the family, was my (admittedly small) statement to the world that we don’t need to get there quite so fast. But we can reduce our impact. 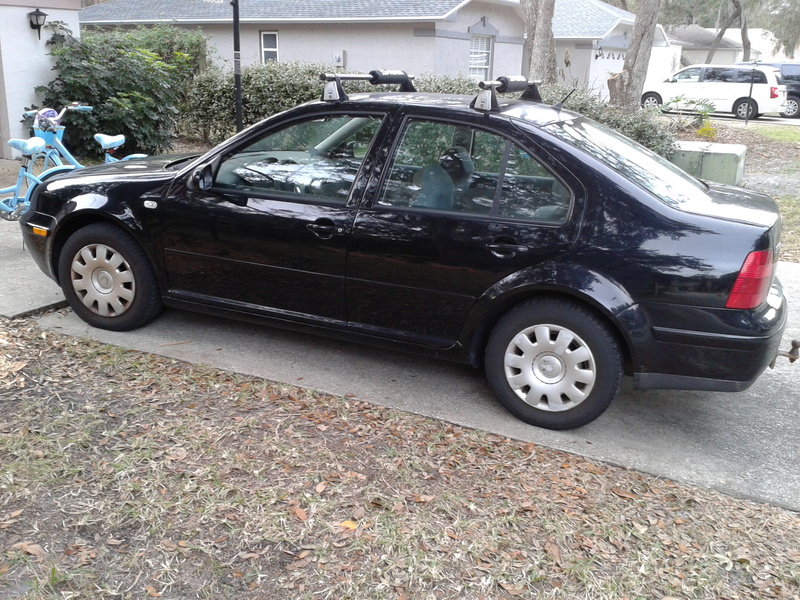 As Olive began to age, as all cars do, I remember looking forward to driving down to the local VW dealership and picking out a brand new Jetta TDI. I wondered what Olive might be worth as a trade-in— with its falling-down headliner, oxidized paint, and non-functioning A/C. The melted crayons that covered the back seats had to be worth something! 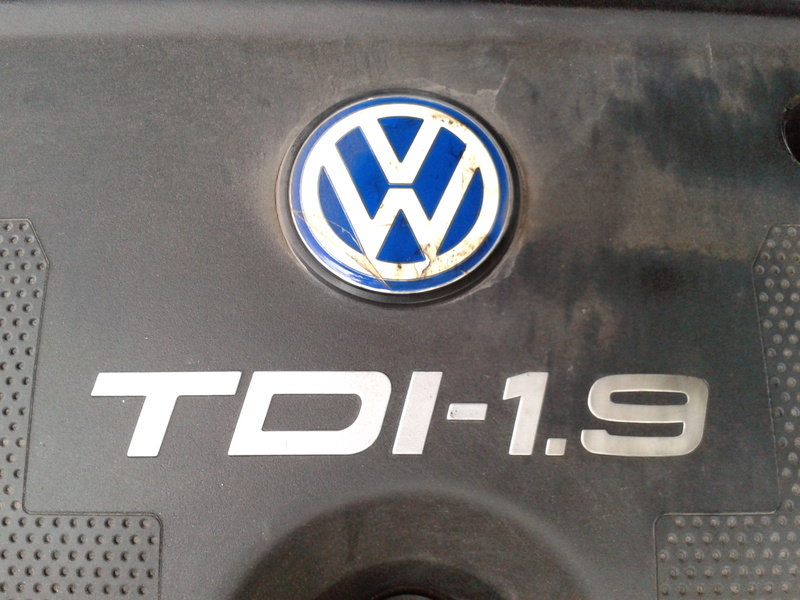 When I first learned of the scandal tied to Volkswagen and the failure of their diesel vehicles to meet EPA emissions standards, I really didn’t know what to make of it. Was this a design flaw? An error in the manufacturing process that somehow slipped through the cracks? It can’t be that bad. It’s a “Clean Diesel”! I didn’t fully understand the implications of this admission until I discussed it with a colleague who does research in diesel emissions. He summarized the situation like this: “They basically programmed the car to use features of the emission control system only when it was subjected to an emissions test. Quite simply, if the front wheels are spinning and the back wheels are not, the vehicle is being tested. Use the emission control system. If the front and back tires are spinning, the vehicle is being driven. 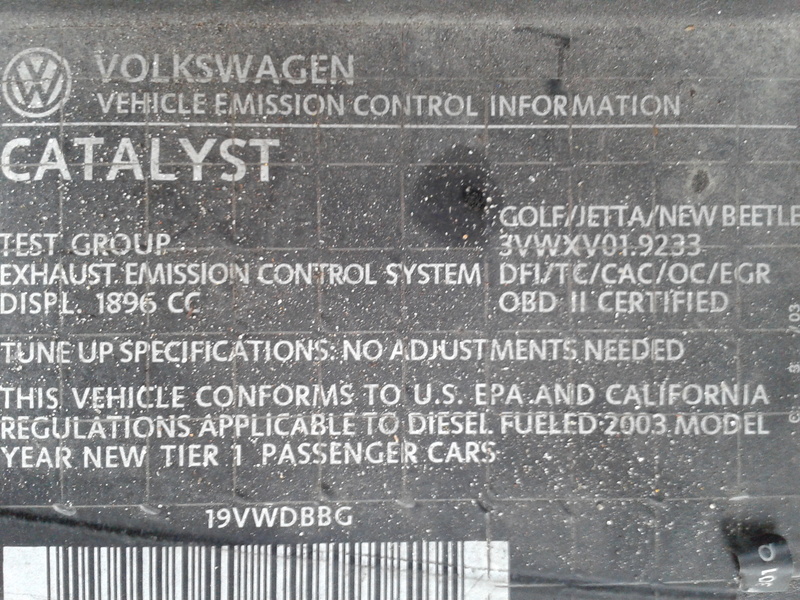 Bypass the emission control system.” That may be a gross over-simplification of the facts, but nobody is contesting that Volkswagen engineers and manufacturers deliberately designed and implemented hardware and software for the sole purpose of evading obligations prescribed by the Clean Air Act. As I consider what Volkswagen’s story means for higher education, I can’t help but sense that a renewed focus on vocation is sorely needed. We might differ in our views about the sources of our callings and about the nature of the caller, but who will deny mere honesty is necessary to living out one’s vocation? If we can agree on that point, we might begin to dig a little deeper. What else might be asked of us? Note: An interview with Volkswagen’s newly appointed CEO, Matthias Mueller, was released by NPR on January 11. In this interview, Mueller suggests that this was a “technical” issue that resulted from engineers’ misunderstanding of US regulations. John Ruskin, “Unto this Last”: Four Essays on the First Principles of Political Economy (New York: John Wiley & Sons, 1866), ix. Available online at http://babel.hathitrust.org/cgi/pt?id=loc.ark:/13960/t4bp0kg5m;view=1up;seq=11 (Accessed February 7, 2016). Ruskin, Unto this Last, x. Indeed, the reason the VW cheated is easy: It likely could not come up with a good means to have high mileage and low emissions. People wanted to keep their jobs, care for their families, . . . . Anyone who drives faster than the speed limit is doing the same thing – trading a tiny bit of dishonesty and using a bit more gas – for some personal advantage. 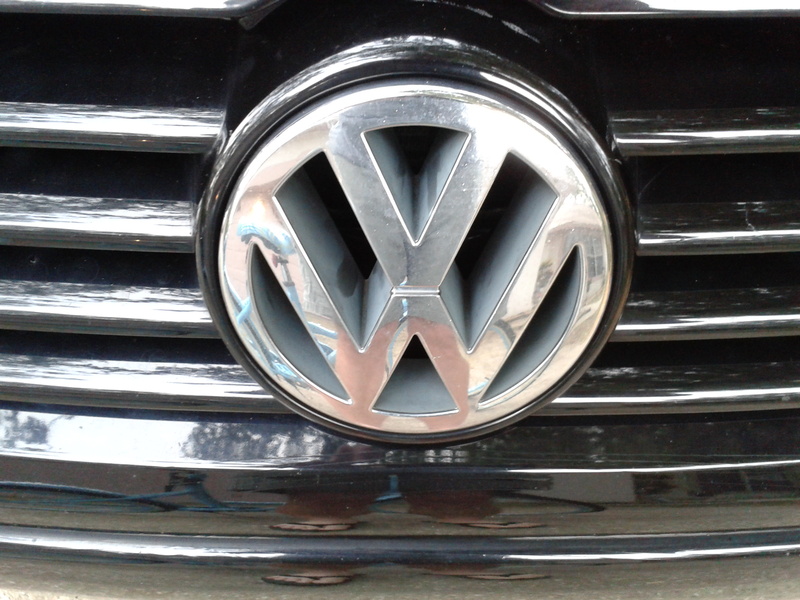 VW is not a difference in kind, just a difference in amount. Many thanks for the comment, Tim! Our campus Chaplain here at ERAU passed along a link to a review of Tim Clydesdale’s book, The Purposeful Graduate: Why Colleges Must Talk to Students About Vocation, last year and your comment brought it to mind. Of course, I haven’t read Clydesdale’s book, so I am proceeding with caution. I probably would have used the phrase “emotional infrastructure” instead of “intellectual architecture”, but that is just the civil engineer in me!